Admittedly, it's of limited use to those of us currently residing in the Asia-Pacific region...but that doesn't stop me grinning! Mark Smith, Eurostar's super-affiliate, is going to be (even) rich(er). What's next in the Seat61 licensing plan? Ticket wallets adorned by pics of Mr Smith? Life-size cut-outs at Ebbsfleet? You've got to hand it to him though, the man is a walking international train timetable. He's also a very nice guy, who has clearly worked hard to acquire all this information. aye crumba! that guy gets about.. 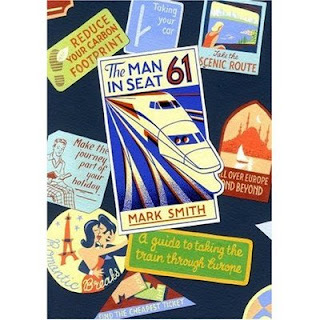 I love the description of Seat 61 as a walking talking international train timetable. I've been involved in a new startup called Loco2 which is also tackling the lack of information and decent online ticket booking for trains. Trains are the future ;) You heard it here first!